Kathmandu Model Secondary School (KMC) is well known name for almost everyone throughout Nepal. Since its establishment in 2000 A.D., it has always been striving for quality education, and in the course of a decade it has carved out for itself an enviable niche at the summit of the best colleges in the country. 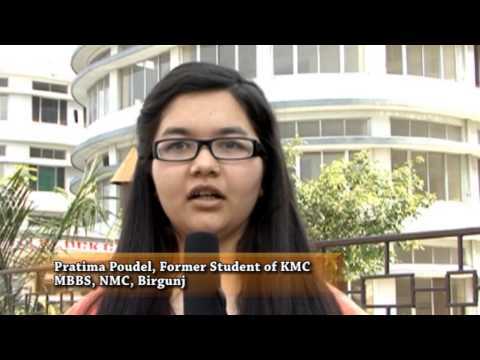 KMC has been synonymous to quality education. We believe people feel proud of this college today as it has been imparting quality education as per the demand of time.No wonder, Kathmandu Model College is growing like a tree under the successful management team and the leadership of the Principal, Professor Dr. Mohan Prasad Lohani, former chairperson of Central Department of English, T.U. and a former diplomat. KMC was established with a collective endeavour of reputed academicians and professionals who possess writing edge knowledge in their fields. The day and night effort of these scholars has led it to obtain 100% results in board exams of NEB, and those of T.U. It has been trying its best to promote itself to more excellence. Provide sound professional education to students in order to enable them to share the values and responsibilities in the leaning process. Making students amenable to all sorts of challenging educational excellence. Motivate students to strive for academic and professional excellence. Foster students all round development through both the curricular ad extra-curricular activities. Motivate students to achieve self dependence and cultural harmony. KMC has always been looking forward to finding Nepal a successful and prosperous country, and it can be possible only when everyone makes productive attempts from their places. On its part, the institution makes every endeavour to make students realize that their major duties include sincere studies, and that parents and guardians boost up their children for the same. We expect a support from all to make Nepal a rich country academically; which in turn will certainly ensure a happy and harmonious life of all Nepalese people. Highly successful in gaining recognition both at the national and international levels. Being a part of KMC (Kathmandu Model Secondary School) as a matter of pride and satisfaction, that was established with its motto ‘Academic Excellence Through Quality Education’ has made study progress during the last 16 years. KMC persists to be a top ranking college all over Nepal in the respective sector and its excellent achievements in various ongoing academic programs especially +2 in Science and Management Stream. Due to its successful achievements is proud to receive HSEB Excellence Award (Letter of Appreciation) among higher secondary schools in the country. KMC receives this award due to its continuous emphasis on discipline, dedication and devotion to duty as well as quality education. Because of these positive aspects, the students graduated from KMC have been awarded scholarships for higher education in medicine, engineering and other academic fields. For being a part of KMC family under KMC Educational Network fresh SLC graduates are most welcome. The graduates can take the advantages form various technical programs in addition to well facilitated labs and stocked library consisting of audio-visual aids, study reports to promote their careers in their respective fields. Nationwide outstanding results at all levels of Science and Management (up to 100%). An institution with a difference in maintaining discipline and academic standards for the last fifteen years. A visionary plan to get converted into a university (an institution running classes from Nursery to Master's Degree). Producing such students who not only secure their place at IOM, IOE, MOE and other reputed institutions with scholarship but also easily get accepted at prestigious universities in such countries as USA, UK, Australia and Japan. Well-equipped labs for Physics, Chemistry, Biology, Computer, Hotel Management and Practical rooms for Mass Communication. Extra classes to supplement the better covering of different subjects. Admission in KMC is based on its entrance exam. Student must meet the criteria set by the college. NEB provides 3% scholarship to the students who have passed their SEE from government school. NEB provides 2% scholarship to the students who have passed their SEE from private schools.